World Book and Copyright Day which is also known as 'International Day of the Book' or 'World Book Day' is celebrated every year on 23 April to promote reading, publishing, and copyright. World Book and Copyright Day aim to encourage everyone and in particular young people, to discover the pleasure of reading. World Book and Copyright Day also promote the public to gain a renewed respect for the irreplaceable contributions of those, who have furthered the social and cultural progress of humanity. World Book and Copyright Day was first celebrated in the year 1995 and was proclaimed by the United Nations Educational, Scientific and Cultural Organization (UNESCO). 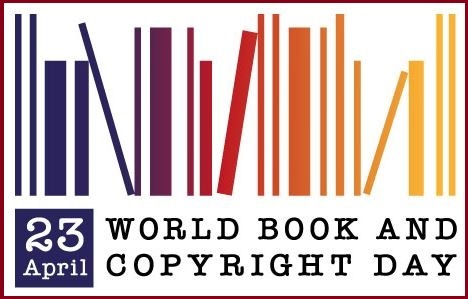 World Book and Copyright Day on 23rd April, this date in 1616 Miguel de Cervantes (greatest Spanish writer), William Shakespeare (greatest English writer and the world’s pre-eminent dramatist) and Inca Garcilaso de la Vega all have died. On World Book and Copyright Day schools, private businesses, voluntary organizations and lots of more people and groups come together to pay a tribute to authors and books.